Alberta has been prone to booms and busts but overall has seen long-term growth in the size of the economy and a dramatic increase in wealth. However, along with this wealth has come disparity; inequality in both income and quality of life is creating problems across Alberta. Alberta’s economic growth has gone mostly to those in the higher incomes. 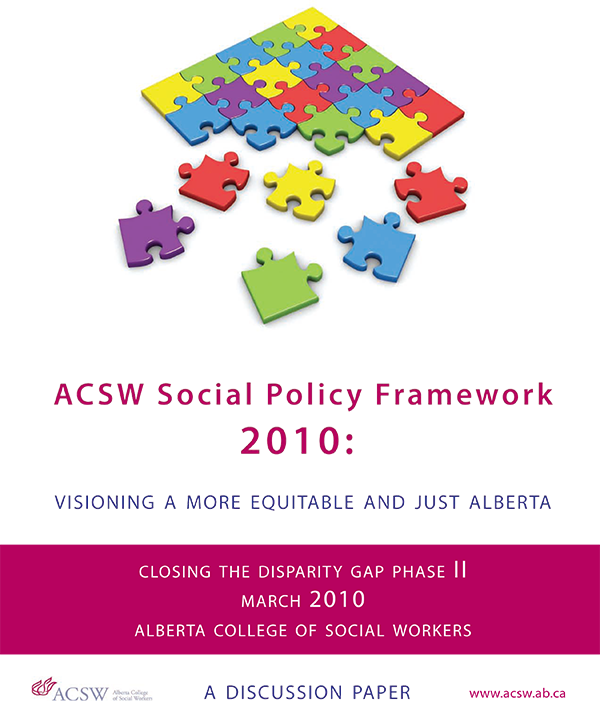 Quality of life indicators such as income security, personal disposable income, social cohesion, food security, housing affordability, leisure and family time, and educational attainment show that middle and low-income Albertans are struggling to keep the status quo and many are being left behind. Research shows that the costs of this inequality cut across all of society. Some of the impacts visible in Alberta include: economic and social exclusion evidenced by increasing food bank usage and homelessness; Alberta has the highest rates of family violence in the country and leads the country in domestic assault, homicide-suicide and stalking; Alberta has record low voter turnout; Albertans rank the lowest in the nation for sense of belonging in their community; Alberta has low university participation; and Albertans have the lowest leisure time in the nation.